With more than 1.9 million tons of bombs and ammunitions dropped over Germany alone during World War II, thousands of ordnance still remain buried and undetonated beneath the earth’s surface. These UXOs live up to several meters deep, unstable and ready to blow at the first available opportunity. In the case of undetonated air drop bombs, the fuses are extremely unstable due to corrosion and aging. This creates a serious issue with construction and excavation projects, among other applications. Vibration from large equipment and digging operations have the potential to set off these UXO buried in the ground below, triggering the long-dormant objects to detonate. 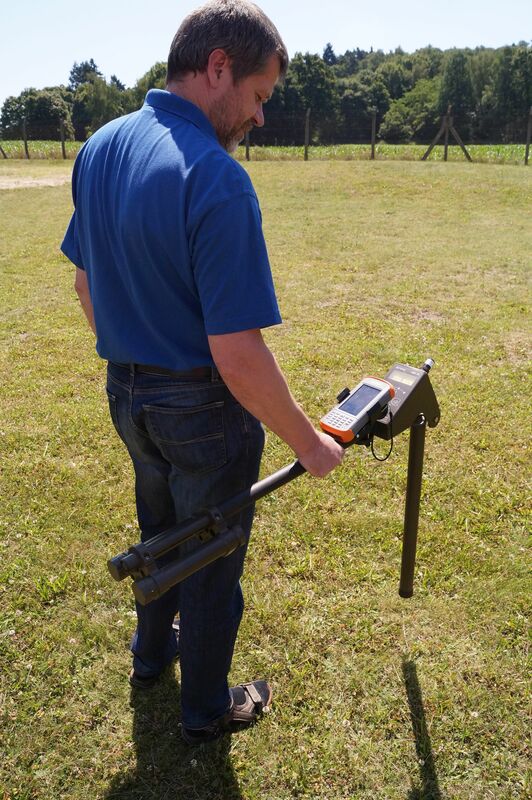 SENSYS’ technology scopes areas and detects objects for clearance prior to excavation, while the Archer 2 Rugged Handheld works to record and collect the data obtained. Among the many obvious reasons the Archer 2 was chosen for this application (all-day battery, fast processor, wide display, etc. ), selecting a handheld with a low magnetic field was crucial. Objects made of iron will influence the earth’s magnetic fields in survey areas, negatively effecting the way SENSYS systems identify UXOs. If the handheld computer’s magnetic field is too strong or broad, the readings in the field cannot be accurately obtained. The Archer 2 and Mesa products swooped in as a glowing solution. In addition to a low magnetic field, these products provide the computing power necessary to operate geospatial software, a battery life lasting throughout the workday, and the highest-rated protection against water and dust. It was an easy choice. The results were almost instant. Just hours after training on our devices, an operator was able to take a system into the field and detect an undetonated air bomb 4.5 meters below the earth’s surface. 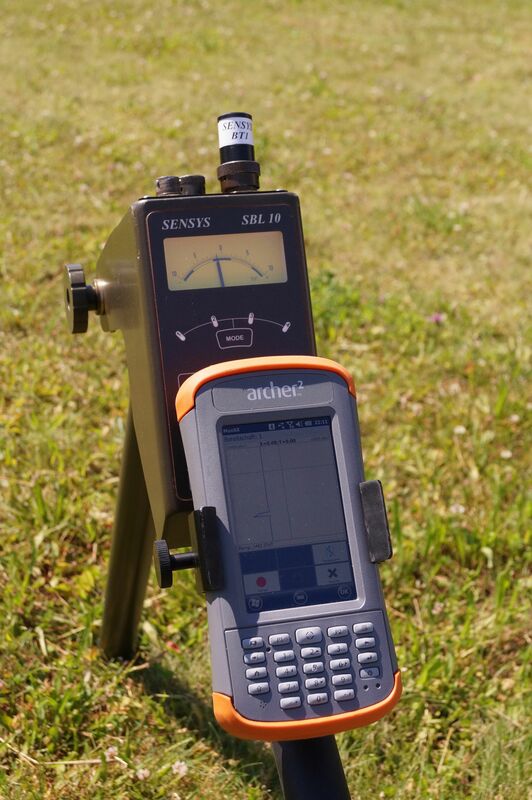 This proved our theory and assured users that the SENSYS magnetometer and sensor products paired with the Archer 2 and other Juniper rugged handhelds create highly functional solutions extremely intuitive to use, while technologically state-of-the-art. The Juniper Systems team looks forward to hearing about future UXO discoveries and how our products played a role in the process. The amount of undetonated ordnance stretched across the world is much larger than many people may realize. Of course, countries heavily involved in military conflicts throughout history are plagued by these UXOs, but even those nations that have not seen significant conflict are effected. In the United States alone, millions of acres of former munition ranges are left scattered with UXOs. This includes retired military training and military ranges, as well as testing and munition burial grounds. A specific example of detection occurred prior to the London 2012 Summer Olympics. In 2008, construction at one of the many London Olympic sites was forced to halt due to the discovery of a 1,000 kg UXO. A survey found the site possibly contained as many as 200 devices. This is just one example. Thousands of unexploded ordnance remain, waiting for discovery or detonation. With the implementation success of the Archer 2 and other Juniper products paired with SENSYS’ technology, both Juniper Systems and SENSYS look forward to pairing additional Juniper rugged devices with more of the SENSYS survey products to continue adding functionality to these high-quality detection systems. For more information about our rugged data collectors that work with sensitive survey equipment contact our UK office at +44 (0) 1527-870773 or fill out our contact form here.